Snow storm recovery in the Puget Sound Region – What’s next? 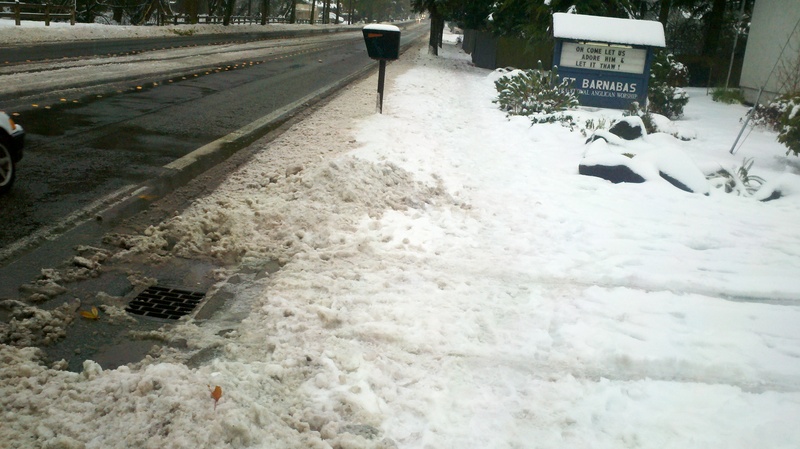 Be a good neighbor citizen and clear a storm drain. Praying for safety for road crews, utility crews, first responders, transporation workers, and health care providers. Praying travel mercies for all those on the roadways, by ways, and flight paths. Be kind and look out for one another, extend the right hand of fellowship to those you meet on the way. 1 Response to Snow storm recovery in the Puget Sound Region – What’s next?